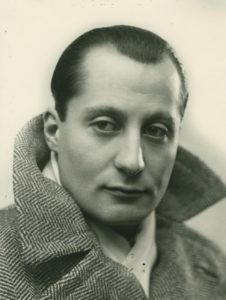 José Antonio Primo de Rivera y Sáenz de Heredia, the First Duke of Primo de Rivera, the Third Marquis of Estella, GdE was born on this day in 1903. His father was the dictator of Spain, appointed by King Alfonso XIII, from 1923 until 1930. Primo de Rivera was originally a lawyer, but in October 1933 he founded the fascist Spanish Falange movement. The Falange was monarchist, Catholic, anti-democratic, anti-capitalist, anti-Communist, and national syndicalist in orientation, and its members were known to be very serious, selfless, and dedicated, earning the praise of Julius Evola, among many others. They also accused the Spanish Republican government of being the handmaiden of Jews and Freemasons and carried out actions against Jewish-owned shops. Originally very small, by the time of the outbreak of the Spanish Civil War in July 1936, the Falange had passed forty thousand members and was still growing. Primo de Rivera called for armed rebellion against the liberal Republican government of Spain and was arrested and charged with the illegal possession of firearms on March 14, 1936. On November 18 he was sentenced to death, and two days later he was executed by firing squad. The Falange went on to support General Francisco Franco’s Nationalists in their rebellion, and in 1937 elements of the Falange were absorbed into a new coalition under Franco’s leadership. After his victory in the Civil War in 1939, Franco relied on the Falange to provide the ideological foundations of the regime that was to govern Spain for the next thirty-eight years, but under Franco it quickly devolved into merely a reactionary party, and most of the genuinely innovative and revolutionary aspects of Primo de Rivera’s program were unfortunately allowed to fall by the wayside. Had his vision been embraced, it seems likely that the course of Spanish history in the twentieth century would have been very different and that Spain might have become an example of a type of fascism that would have fared better than its equivalents in other countries by remaining true to its original vision, and transcending the usual Left/Right and secular/religious divides that have continued to dominate modern politics up to the present. Unfortunately we will never know, but Primo de Rivera himself nevertheless remains as a symbol of a dedicated idealist and a martyr for his cause.